Taoiseacht Enda Kenny intends to prioritise the plight of the 50,000 undocumented Irish living in America rather than criticise US President Donald Trump over his controversial Muslim travel ban when the two leaders meet in the White House this week. Mr Kenny jetted off yesterday to begin a five-city tour of the US ahead of the customary St Patrick's Day visit to the White House later this week. The Taoiseach has been under pressure to face down Mr Trump over his plans to introduce a travel ban on citizens based in six mostly Muslim countries. However, senior government sources said Mr Kenny does intend on raising immigration issues with Mr Trump but his focus will be on the impact US policy could have on Irish citizens. "The priority here is our interests - the undocumented Irish people working in American and Irish companies in America which now employ more people than American companies do in Ireland," the source said. 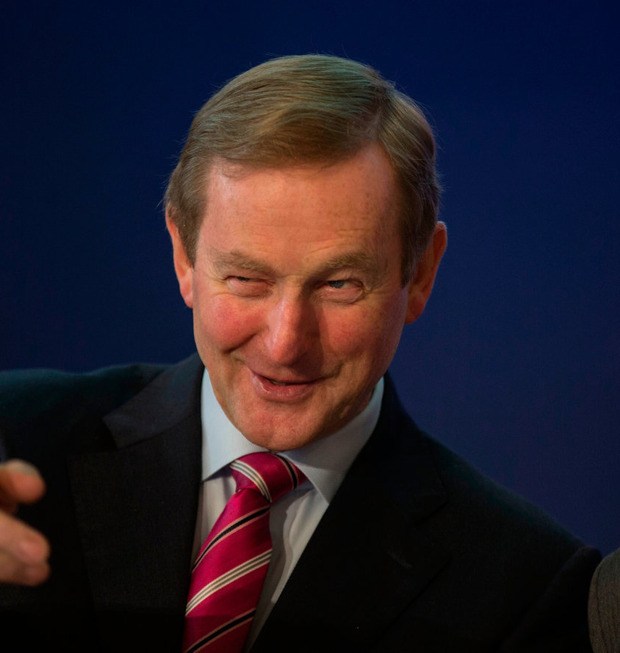 "The job of the Taoiseach is to secure the interests of the Irish people," the source added. In a statement released last Friday evening, the Taoiseach said US immigration policy is an issue of "increased importance" to Irish people living in America since Mr Trump's shock election to White House. "All of my interactions in the United States at political level will be undertaken with both mindfulness of the contribution that Irish people have made to America over so many years and also of the future potential of Ireland, as an ongoing member of the European Union, and the United States continuing to work together into the future," he added. Mr Kenny and Mr Trump will meet for the first time on Thursday - the same day the revised travel ban is set to come into place. The ban will stop people living in Libya, Iran, Syria, Somalia, Sudan and Yemen from entering the US. Mr Trump's first attempt to introduce a travel ban was blocked by the US courts and his second proposal is already facing legal threats. Yesterday, Mr Kenny arrived in Philadelphia where he will today take part in a St Patrick's Day parade in the city. He will then travel to Boston where he will take part in an event marking the 100th anniversary of John F Kennedy's birth. On Tuesday, he travels to Rhode Island and on Wednesday he arrives in Washington where he will meet President Trump and other US dignitaries. Mr Kenny will then travel to New York on Friday to take part in the St Patrick's Day parade. Is Ireland ready to play its part in the countdown to Brexit?